From lying on beaches to more active past times, there are lots of things to see and do here. Across historic County Wexford in towns, villages and down country lanes you will find the studios of a wide variety of traditional crafts, from pottery to millinery to sculpture and jewellery, where you can talk to the artists and craftsmen and women about their work. In County Wexford we have a diversity of walking trails to accommodate a range of abilities, ages and interests, including mountain and hill walking, coastal walks, riverside and woodland walks, historic and scenic walks. Visit Wexford Walking Trails for maps and more information. An age-old gateway into Ireland, County Wexford is steeped in history dating back to the Stone age, over 6,000 years ago. Our Heritage Trail leads you to castles, churches and abbeys, battlefields, historic towns and villages, great houses and gardens, windmills, wild bird reserves and forts. Follow a trail through Wexford's history, culture and natural beauty to discover oustanding attractions and hidden gems. The Dunbrody is a full-scale reproduction of a 19th Century famine ship (three masted Barque built in Quebec in 1845) which brought many emigrants from Ireland to America during and after the Great Famine. Board the Dunbrody and walk in the footsteps of famine emigrants on their journey of hope across the Atlantic Ocean. There is also a popular cafe and tourist office here. The Quay, New Ross, County Wexford. The Ros Tapestry features 15 large panels which depict the events around the Anglo-Norman arrival in the South East of Ireland, specifically the founding of the town of New Ross and the combined effects on the shaping of Leinster and Ireland by William Marshal and his wife, Isabel de Clare, daughter of Strongbow. The arboretum is dedicated to the memory of John F. Kennedy and contains 4,500 types of trees and shrubs from all temperate regions of the world. There are 200 forest plots grouped by continent. It covers 252 hectares with panoramic views, picnic areas, maze, play area, lake, tearoom/shop (seasonal), miniature railway (seasonal) and visitor centre with audio-visual. Dunganstown, New Ross, Co. Wexford. Visit the birthplace of the late President John F Kennedy’s great grandfather where you can enjoy an audio-visual presentation and guided tour, which takes visitors through the family history and historical setting of the Kennedy legacy. 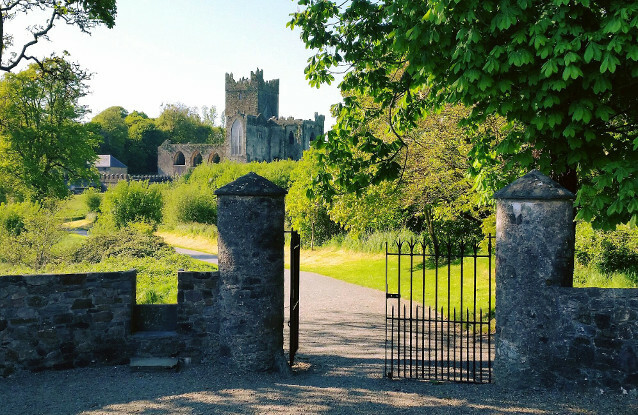 Dunbrody Abbey is a 12th Century Cistercian Monastery and a visit is a must. It includes a full-sized hedge maze, pitch and putt course, textile academy, craft shop and tea rooms. Cistercian Abbey founded c1200 by William, Earl of Marshall and later became the home of the Colclough Family. Tours of the Abbey are available and there is a cafe on site. The Abbey’s walled gardens have recently been restored to their former glory and Colclough Walled Gardens are open to the public. The Hook Light House is about 800 years old and is the oldest operational lighthouse in the world. Guided tours of the lighthouse tower are available all year round and are one of the top things to do in Wexford and Waterford. Visitors can climb the 115 steps to the spectacular view from the balcony. The Hook Light House is listed as the no. 1 flashiest lighthouse in the world by the Lonely Planet Guide. Duncannon Fort is a star-shaped fortress built to repel the Spanish Armada and to stop the pirates plundering the merchant ships on their way up to Waterford Harbour. Built in 1588, the Fort boasts many attractions including a Military and Maritime Museum, Pirates Visitor Centre, Cockleshells Arts Centre displaying works by local artists, exhibitions, artist studio, café and craft ship. Loftus Hall is reputed to be the most haunted house in Ireland. Interactive tours are available which recount the grim and gruesome history behind Loftus Hall. In just one visit, you can experience 9,000 years of Irish history in a fascinating setting of woodland, riverbank and native Irish dwellings. Discover how the Celtic, Norman and Viking settlers left their mark on the countryside. Johnstown Castle is a 19th Century turreted castle whose gardens contain a wide variety of trees and shrubs, exotic examples blend with native species in a stunning setting that represents the best aspects of both a formal and a wild garden. A man-made lake with its own particular flora and fauna adds to the appeal of this wonderful Wexford landmark. 2 hour historical and anecdotal walking tour of Wexford town which takes place every Wednesday. Booking: Wexford Opera House. This 90 minute walking tour of Wexford’s historical sights departs from Wexford Tourism Office on Crescent Quay at 11 am every day (except Sunday) from 1 March to 31 October. Enjoy exploring Wells House and Gardens, a Victorian house in North Wexford. A host of activities are available to entertain visitors including a woodland walk, a restored Victorian garden, a living Victorian house tour, archery, falconry, an adventure playground, a craft courtyard and tearooms. Kilmore Quay is a scenic fishing village renowned for its thatched cottages and for producing some of the best seafood in Ireland. Boat trips to the nearby Saltee Islands are highly recommended to see the gannets, puffins and seals. Winningtown, Fethard-On-Sea, New Ross, County Wexford. Abbey Par 3 Golf near Fethard-on-Sea in County Wexford is 40 acres of parkland. 18 holes with sand bunkers, water hazzards and challenging greens maintained to the highest standard will test your skills. The course is open from dawn to dusk all year. Oaklands Lake is a 4.5 acre man-made lake stocked with carp, 14lb plus, tench, rudd and bream. It has 60 stands, all wheelchair friendly, toilets, tea/coffee and cold drinks. There is also a fully stocked tackle shop on site. North Slob, Ardcavan Lane, Wexford. Wexford Wildfowl Reserve is a site of international importance as it is the nearest point for birds migrating in or out of Ireland. The North and South Slobs and Wexford Harbour are home to thousands of ducks, geese, swans and waders from October to April. Large numbers of migratory birds are to be observed stopping to feed during spring and autumn. Carnivan Beach, Fethard-On-Sea, County Wexford. Freedom Surf School & Adventure Activities include surfing, land yachting / blokarting, team building / beach challenges, Nordic walking, body boarding, ecology walks and hikes. Their Irish language programme provides all their activities through the Irish language and is supported by Foras na Gaeilge. Shielbaggan OEC, Ramsgrange, New Ross, County Wexford. Shielbaggan Outdoor Education Centre is located at the top of the Hook Peninsula in the South West Wexford village of Ramsgrange. 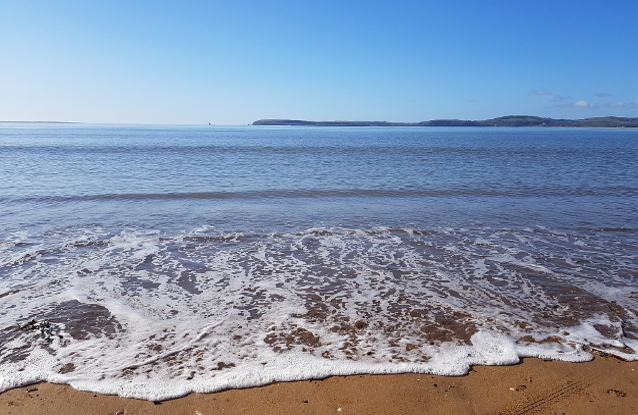 The Centre offers dingy and board sailing, sea and river kayaking, surfing, snorkelling, sand yachting, rock climbing, hill walking, orienteering and archery. Kilmore Quay Marina, Kilmore, Co. Wexford. Daily cruises around the Saltee Islands offering spectacular views of the cliffs and marina wildlife. Puffins, Kittiwakes, Cormorants, Shearwaters and Seals are all to be observed. Leisure Max offers bowling with a play centre and lots of other activities such as sumo wrestling, Gladiator, Zorbs, Climbing wall and Pillow Basher. The Bosheen, Ring Road, Irishtown, New Ross, County Wexford. Catering for under three year olds to up to ten year olds, it also features facilities for parents and minders such as a coffee shop, ample seating, baby changing area and wheelchair accessible toilets. Quad Attack Adventure Centre offers an all-weather cross-country driving thrill for all ages from 6 years upwards. An all indoor Crazy Corral includes sumo wrestling, bungee burst and rodeo bull with a bouncy castle for smaller children. Unit 7, Strandfield Business Park, Kerlogue, County Wexford. 23000sq ft of go-karting fun, adrenaline, excitiment and most of all relaxation. Oldcourt Stables offers everything for the horse-lover: trekking, cross country, riding lessons and showjumping. Horse and pony riding at Shelmalier Stables, Wexford. Friendly, qualified staff and well-trained horses and ponies welcome riders of all levels including beginners to Wexford’s longest established riding centre. Located on the idylic banks of Wexford harbour and coastline Wexford Swimming Pool & Gym boasts a 25m swimming pool- 1.8m deep, a learner pool, sauna & steam room and family changing village. Wexford Town, Wexford, County Wexford. Wexford Kayaking Safari is a company based just outside Wexford Town Ireland. They do safari trips up the River Slaney and other rivers on request. All their Kayaks are “SIT ON”, which makes them very easy to paddle and very stable and safe in the water even for beginners.